I recently had a mother of the bride call me to ask a few questions and get some suggestions about her daughter's big day. I gave her some tips on making the morning go smoothly and hence an easier wedding day altogether. She was appreciative and yet surprised by a few of the tips. I thought I'd share a few these here to help you have a stress free wedding day. Make sure you have enough make up artist and hair stylists for the amount of participants you have. If the company you hire is only one person for make up and one for hair, you may need to schedule longer prep time. When it comes to trial preparation, a common mistake is the "bride should go last" way of thinking. The thinking is that the bride will "remain fresh." The bride should NOT go last and here is why. Typically something gets off track and bridal prep goes overtime. If the bride goes last, hair and make up are either rushed or we run late. I suggest you have hair / makeup done in the middle. This way, if things run a little late, we can at least get photos of you getting into your dress and even some solo bride photos while the other girls finish up. A little touch up can freshen you up and will keep you on schedule. I strongly encourage a First Look with the person you will be marrying. Having your photos done before the ceremony greatly reduces the stress in your day and frees you up to really enjoy the festivities. If you are a traditionalist and dead set against the idea, we will still get all of your photos in, but may have to schedule a bit more time in the day to do so. We can discuss it at your pre-wedding meeting. Consider not having a receiving line after your ceremony. If you have a lot of time between the ceremony and reception and the venue has the time for your post ceremony family photos, then by all means greet your ceremony guests. However, if you have a late afternoon ceremony and have limited time before your introductions - fitting in family photos, wedding party photos and couples photos is going to be tough. We work quick, but why rush and stress yourselves and your family out. A growing trend is guests placing cell phones and tablets and themselves into the main aisle during the ceremony. They are excited and mean no harm, but this could impede your photographs. Consider an "unplugged wedding ceremony" by asking your officiant to ask that guests not do this. Check out the linked article for some examples. Be in the moment during your ceremony and first dances. Don't be shy and look down. Your photos and video will reflect this. Don't get too caught up in perfection. A smudge on your dress isn't going to ruin your photos. If a blemish on your face appears the night before the wedding, I will make sure it doesn't exist in the finished photos. Take some time to eat and drink water throughout the day. Take a breath and realize that you can't please everyone. Family and friends have your best interest at heart, but ultimately it's your day. If you tan (especially a spray tan), do so a good 5 days beforehand. Tanning the night before or that morning can often result in orange skin in the photos. I mentioned it above, but I will stress it again - enjoy yourself!! 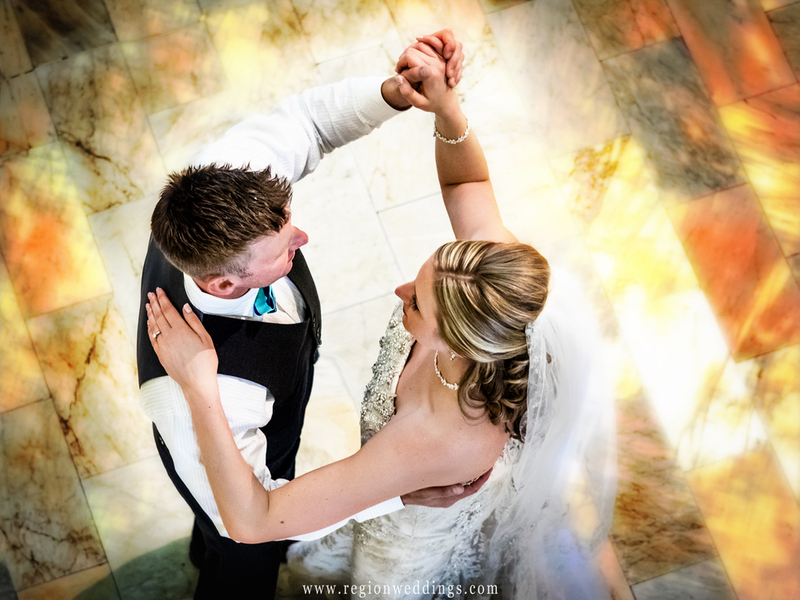 As your photographer, I want you to look back on some outstanding images, but I don't want that to be in expense of you missing out on the fun of your big day. I will work quickly and efficiently to make sure you have the time to enjoy your party. Pinterest is wonderful for cataloging ideas and even for getting a feel for the styles you like in photos, decor, mood and more. Keep in mind though that some images you find will not translate to your day and imitating exact poses, down to hand placement, etc. can be a little bit "posey" and stiff sometimes. Let's make sure we keep the essence of the two of you intact. Let's get inspiration, but create our own magic at the same time. In March I'm going to be featuring interviews with several local wedding professionals - from make up artists to DJ's and more. Be sure to subscribe here so you don't miss that. I'm sure they are going to be chock full of tips and inspiration. I have more of a photographer's perspective on things so it's always good take in others thoughts and work together as one, for you. I hope these all made sense and are helpful. Let me know if you have any questions or would like to inquire about the availability of your date. You can do so via the Contact Form here.